Here's an increasingly common scenario: You're on a business trip, either entering a foreign country or returning home. As you go through customs, a border-control agent asks you to turn on and hand over your iPhone, then starts poking around, looking at your text messages, call logs and apps. The agent then asks you to wake your MacBook, log into your social media accounts and open your email. After the agent reads your tweets and posts for a few minutes, your phone and laptop are taken "for further inspection" — and returned some time later. Alternatively, the equivalent of the Transportation Security Administration (TSA) in a foreign country declares that all laptops on international flights must be put in checked baggage — a scenario only narrowly averted a few weeks ago. Your company laptop is properly checked in, but when you arrive at your destination, you discover that not only has your bag been searched, but your laptop appears to have been opened and powered on. Now, every text message you've written, every email you've sent or received, every app you use, every document, personal contact and social media message that's accessible from your computer — the whole electronic record of your life, including corporate data, medical records, and confidential trade and financial information — may be in the hands of government agents. Having traveled recently from the U.S. to the U.K., I've found that these scenarios are no longer something that happens only in a spy novel. They're occurring more often, and broad warrantless searches at the border that include data are often either permitted or at least occur in a legal gray area. What's a business traveler to do? You can refuse to cooperate. But officials can generally deny entry to a foreign country for any reason. If you're returning home, you might be guaranteed (eventual) re-entry. But arousing suspicion can result in detention, interrogation, search and possible confiscation (at least temporarily) of your electronic devices, opening the door to a full forensic search. You could travel with a burner phone and laptop that can be completely wiped before your trip so there's no data to be found, but that's inconvenient and costly. Maybe James Bond needs this, but does Jane Executive? The best, most workable concept is to hide in plain sight — be boring. Allow the search, and give authorities who want to examine your electronic devices enough data to avoid arousing suspicion without giving up your confidential data. The following guide is designed to detail some of the steps you can take. They are listed in roughly the order of effort and/or difficulty, with a few final tips that take more work, but also provide the greatest degree of data privacy. You'll have to decide what's merely prudent and what's necessary (and for more involved techniques, you may need to get IT help). I'm focused here on the Apple ecosystem: laptops running macOS and iPhones and iPads running iOS. (These tips apply generally to Windows/Android devices as well. I'll have a follow-up with more specifics for those systems soon.) These instructions assume you're running macOS Sierra 10.12.5 and iOS 10.3.2. 1. Turn off all electronic devices prior to border crossing. You should always have a password enabled on your laptop. 2. A first basic step for your laptop: Do not allow its use without a password. 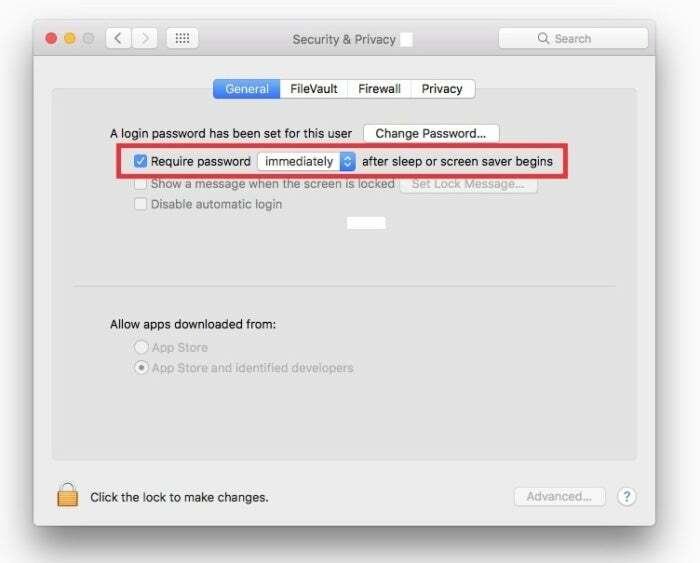 Go to System Preferences > Security & Privacy > General to turn on login password, and "Require password immediately after sleep or screen saver begins." 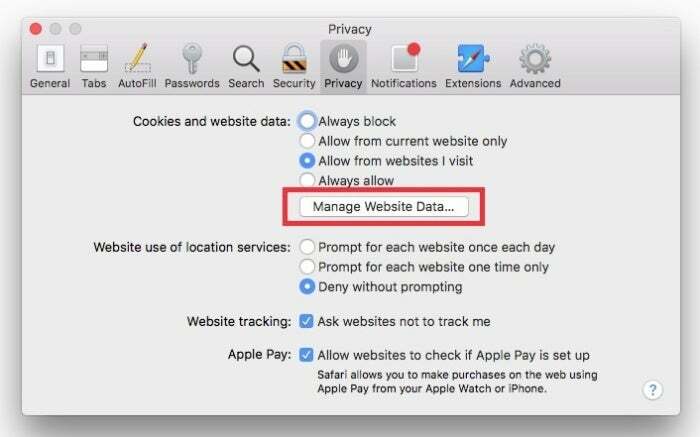 On your Apple laptop, you delete your browser cache in Safari's preferences. 3. Delete your browser cache data. You may want to delete all data, including passwords, if you're being extra cautious. 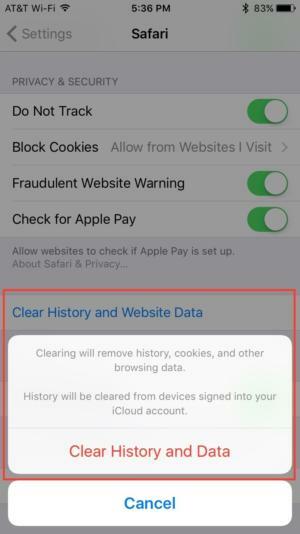 On an iPhone, navigate to Settings > Safari > Clear History and Website Data, then select Clear History and Data. Warning: You'll want to do this in advance, with plenty of time. Using FileVault is very efficient, but the first time through, encrypting the entire drive can take a long time. Obviously, do not forget your password. When High Sierra (macOS 10.13) is released this fall, the new Apple File System (APFS) will allow integrated, granular encryption both at file level and for an entire volume. Bottom line: FileVault is good now, and Apple encryption will be even better soon. 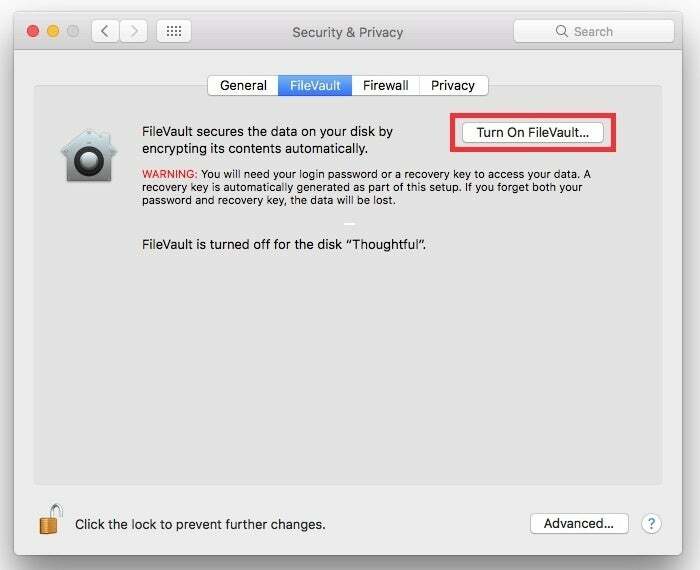 Using FileVault is an efficient way to encrypt data, but the first time it's turned on the process will take a while. Travel with an SD card or USB drive, and store all critical and confidential information on that external drive. Make sure the drive is encrypted (using FileVault; see below). Prior to traveling or going through immigration control, eject the external drive and put it somewhere safe (separate from your computer). MicroSD cards, in particular, are tiny enough to be stashed almost anywhere, and if your laptop does not have an SD slot, inexpensive portable adapters/readers for USB3 and USB-C ports are easily available. To encrypt an external drive, once it is mounted on your computer, simply right-click the drive and select "Encrypt." For both internal and external drives, files encrypted with FileVault will not be easily readable by forensic analysis without the password (and you will not be able to access them if you forget the password!). On the iPhone, always require a passcode. 5. 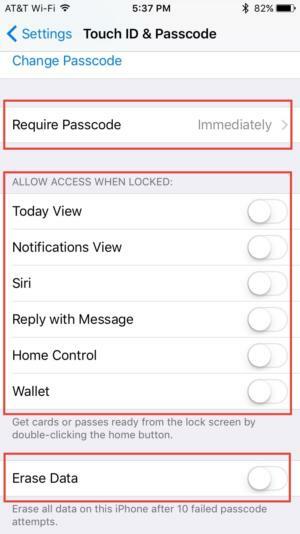 Set a passcode for your iPhone, and turn off TouchID. (optional) Settings > Touch ID & Passcode > Fingerprints > Finger 1, Finger 2, etc. : Delete fingerprints. 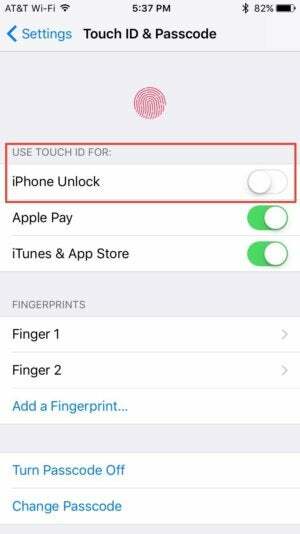 Turn off Touch ID on the iPhone in Settings. 6. Lock your important notes. 7. Minimize social media/email exposure. Either create new accounts that contain only what you want others to see (and have access to), or remove social media apps and bookmarks from your laptop and phone altogether for the duration of your flights. Do you really need social media on the road? If you do, accept the fact that you may be asked to turn over logins and passwords to any accounts you use that are on your laptop or phone. Social Media at the Border: Can Agents Ask for Your Facebook Feed? For email, you can remove accounts from your laptop and phone that you do not absolutely need while traveling, and create new accounts to be used only for travel purposes (setting up auto-forwarding rules from existing accounts as needed). Email attachments are one of the most common culprits leading travelers to unwittingly carry unneeded confidential information on their laptop or phone. Having an email account just for travel that can be cleaned out after use can minimize the chance you have forgotten attachments buried in your email archives. 8. (Advanced) Create a new iCloud account that's only for traveling. Create a new email account, using a service such as Gmail, and then use that to create a new iCloud account. If you want to share apps and music with your main iCloud account, you can set up Family Sharing and link the new account to the old one. This is somewhat less secure than keeping the accounts totally separate, but it does simplify setup — the choice is up to you. Don't use the same password for both accounts. If you use Family Sharing to more easily share apps and data across accounts, macOS 10.13 High Sierra will allow you to share an iCloud data storage plan between all of the accounts in the same "family." 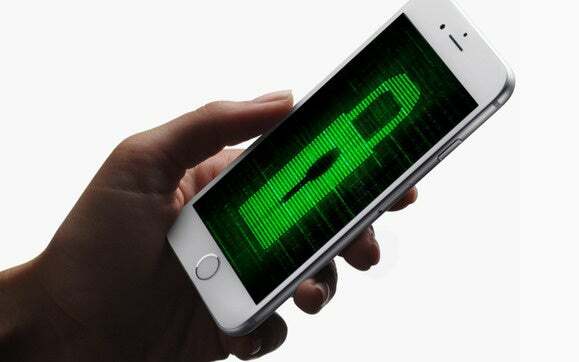 You may want to turn on two-factor authentication for both old and new iCloud accounts (highly recommended), but only if you will have consistent data connectivity as you travel for the devices you'll need to use to authenticate (phone, iPad, etc). If you haven't used this before, this is one to try out in your home country so you can work the bugs out before you travel. See Two-factor authentication for Apple ID for more information. There are several methods to transfer or copy selected data (including Notes, Calendars, etc. ), from your old iCloud account to your new one, but all of them take some work. Using a laptop or desktop, Contacts and Calendars let you import and export fairly simply, using the Export and Import options under the File menu. (Export to a local drive, log out of the old iCloud account and into the new one, then Import from the local drive back to your new account.) iMessage allows you to simply add a new iCloud account to your existing one. Notes doesn't have an easy import/export option, but one workaround on a laptop is to enable the "On My Mac" option (under Preferences), drag notes and folders to the On My Mac section in the sidebar, then log out of your old iCloud account and into the new one. Then drag all of the notes you need back into the iCloud section. It's a pain, but quicker than the prospect of using the Share option to individually email or iMessage Notes to yourself one at a time. Transfer only what you absolutely need for traveling, noting that anything you include may be visible and copied if your devices are searched. For more information, see: To transfer all files from one iCloud account to another, and Looking To Merge Your Apple ID's? Well, Here's Our Way Around It. 9. (Advanced) Create a new, "clean" user account on your laptop, via System Preferences > Users & Groups. Make this user an Administrator, and attach the new user account to your new iCloud account, not your old one (System Preferences > iCloud). Set your laptop to automatically go to this account upon a reboot: Users and Groups > login options  Automatic login. You may want to delete your original user account, but be sure to make a full backup first using Time Machine or another backup system. This is the most elaborate level of protection covered here, but it is the most secure option. 10. (Advanced) Create an alternative iPhone setup. The new setup should have only the apps and data you need for traveling — with few, if any, social media apps loaded — using your alternative Apple ID instead of your primary account. First, back up your primary phone setup onto your laptop or to your iCloud account (but make sure to check the "Encrypt iPhone backup" option in iTunes, with your phone selected, under Backups); reset your phone (Settings > General > Erase all Content and Settings); then set up your phone with your alternate iCloud account (for Mail, Contacts, Notes, Calendar, etc). You can restore the phone from your backup after you return home. Again, this takes the greatest amount of effort, but offers a greater level of data security, since the only things on the phone to be viewed or copied are things you are willing to have searched.